Sean Rayford/Getty ImagesPresident Donald Trump addresses the crowd during a rally in Tennessee in October. President Donald Trump sought to rewrite his father’s will in 1990 to strengthen his position as the sole executor of his father’s estate, according to a New York Times investigation published Tuesday. Fred Trump saw the move as an attempt to go behind his back and removed his son from having sole control of the estate, The Times reported, citing depositions and other documents it obtained. Fred Trump feared that his son would strip the estate to rescue his own failing empire, the report says. The investigation by The Times found that Donald Trump and his family engaged in “instances of outright fraud” to enhance their wealth. New York agencies are investigating the allegations in the report. 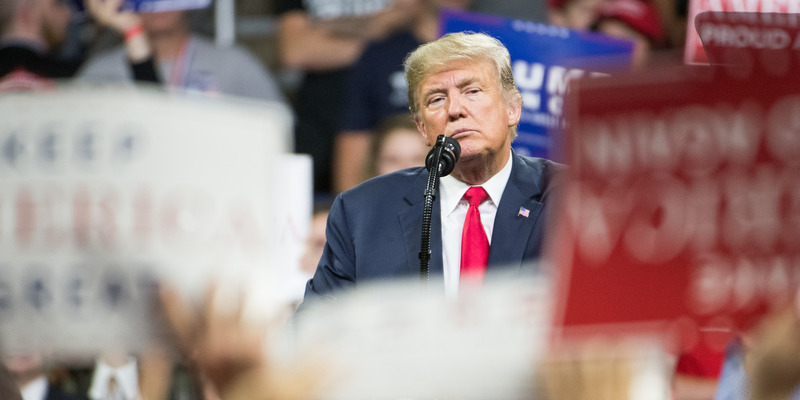 President Donald Trump tried to rewrite his father’s will in 1990 to strengthen his position as the only person to inherit his father’s estate, according to a bombshell New York Times report about Trump’s and his family’s tax practices. But Fred Trump foiled the attempt, as he feared his son could strip his estate and use it to rescue his own failing businesses, The Times reported, citing depositions and other documents it obtained. 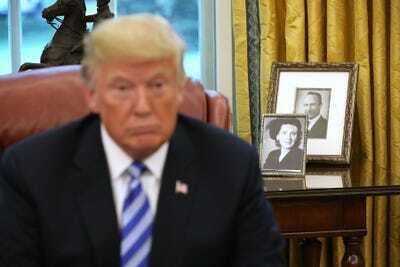 Donald Trump had sent his father a document that would make him the sole executor of the estate and protect his portion of his inheritance from creditors and his impending divorce settlement, according to the report. Fred Trump, then 85, had not seen the document before but was instructed to sign immediately, The Times reported. He saw the move as an attempt to go behind his back. He showed the document to his daughter Maryanne Trump Barry, a federal judge at the time. She recalled in her deposition that he told her, “This doesn’t pass the smell test,” The Times reported. 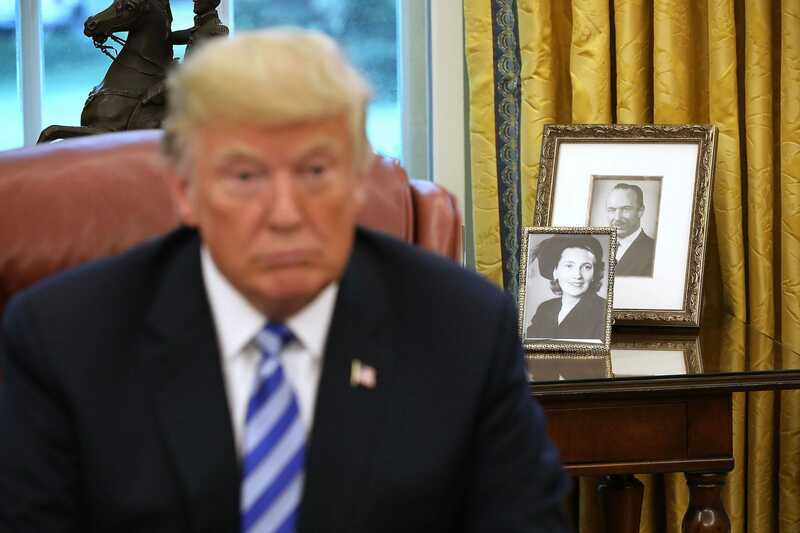 Chip Somodevilla/Getty ImagesFramed photos of the president’s parents, Fred and Mary Trump, on a table in the Oval Office. The allegations are included in an investigation published Tuesday by The Times, which said it reviewed thousands of tax documents and financial records. It found that Donald Trump received at least $US413 million in today’s dollars from his father and that the president and his family engaged in “instances of outright fraud” to enhance their wealth. The Times reported that Donald Trump was earning $US200,000 annually in today’s dollars from his father’s empire by the time he was 3 years old. By age 8, he was a millionaire, the report said. The investigation appears to refute the president’s narrative that he is a self-made billionaire who built his own empire.